I watched Lazarus last night – David Bowie’s goodbye note to the world, and to say that there are not many who have so artfully packaged their own death is meant as the highest praise. Knowing that his passing was going to affect a lot of people, Bowie picked a song that lyrically suggests rebirth, rising from the dead, and also handles the fact, with the visuals and the lyrics, that he was in a frail physical state but very much still himself. There hasn’t really been, as far as I am aware anything quite like this put out there before. Warren Zevon very publicly fought cancer, and there was an inevitability to the whole proceedings. With Bowie there were perhaps suspicions, given how absent he has been from the spotlight in recent years, but the news that he had been battling cancer for 18 months was something of a shock. And so, he transforms it into a work of art. He has always been about pushing at the edge, and this is another wonderful example. A great big part of marketing is creating interest in your product, and that is often tied to mystery … making it so that people want to find out about what it is you have to offer. David Bowie has always been a smart businessman, as much as he has been the consummate artist. David Jones really started to take off when he became David Bowie. To keep the idea of David Bowie interesting, along the way, we have had The Thin White Duke, Ziggy Stardust, Major Tom, Aladdin Sane, and a whole host of other masks that Bowie has picked up and let drop as the whim took him. Look at any of the theatrical stars out there now – Marilyn Manson for instance, Madonna maybe – and you can see the influence of Bowie. Each of his albums was a package deal, and his own costume and persona was part of the package, and it was captivating. You knew that a gimmick was being used, but you could buy into it so completely that it didn’t matter. Always different, but always obviously and distinctly Bowie. 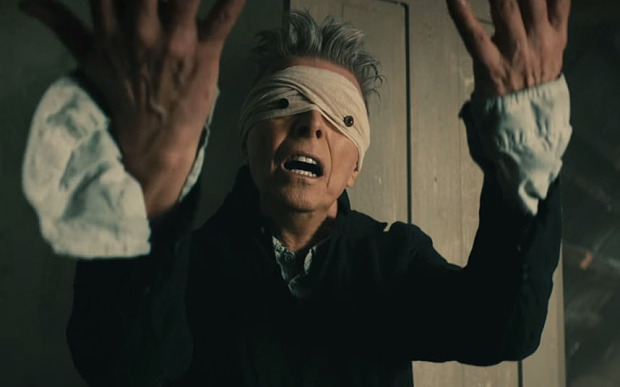 Blackstar, his 25th album (possibly not his last, as there are 5 more songs from the recording sessions) has been garnering rave reviews … the best I think I have seen for a long time, even more than those for The Next Day, his return after a long hiatus. Look at his website, look at his album covers – look at the care and attention to detail he paid to every aspect of himself and his art, and you can see that there is a lot of greatness in Bowie that you would do well to emulate. No one has a career as prolific and successful as Bowie without a lot of hard work, and a lot of paying attention to what is going on in the world. He communicated with his fans very eloquently, and setting that Blackstar in the sky in such an artful manner means it is going to resonate for a long time after, in a way that even Bowie’s work hasn’t before.